Binus FX – Binus University International initiated the formation of GameLab to intensify the role and raise the level of games in Indonesia, which previously only meets the needs of sheer entertainment, into having a broader impact for the society by contributing to solving problems in the community within the health, education, citizenship domains, and more. “At the moment, there is still a negative stigma to games in the society in which games are perceived as only useful for filling free time, and may even lead to addiction, spending time, and decreased productivity. However abroad, games are useful not only for meeting entertainment needs, but also for a solution to problems around public health, education, and other domains. Based upon this, Binus International set up GameLab as a form of initiative to develop and communicate a high quality research in the games domain in Indonesia, as well as to design games that give broad impact to solve problems that exist in the society,” said Dr. Yaya Heryadi, Principal Researcher – GameLab, on occasion of GameLab STAGE: 01 which was held on Thursday (17/3) in the Binus’ FX Campus. A strategic objective of GameLab establishment is, as Yaya presented, which is to build a community for active game research and development; to support training for enhancement of students’ learning experiences in terms of game’s design and development; to strengthen a partnership and network with government, industry, academia, and community; as well as to disseminate basic game researches and new technologies to stakeholders within the game domain. 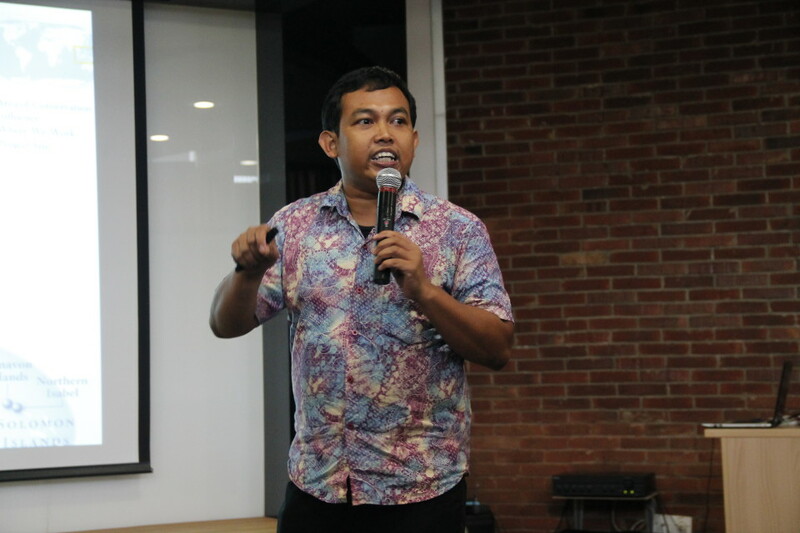 In Indonesia itself, according to Yaya, many game studios that produces serious games are springing, also known as applied games. A variety of serious games are for instance simulator games, games for presidential election, educational games, and other similar games. 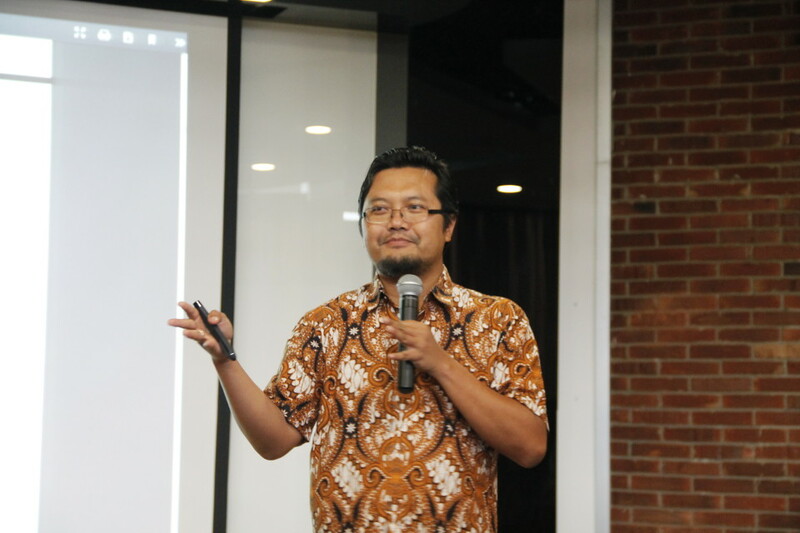 Eko Nugroho, GameLab Principal Researcher and Kummara Creative Studio founder, stated that the high potential for Indonesia’s game industry growth should not to trap Indonesian game developers into only developing sheer entertaining and commercial games. “Do not create games for the purpose of sales and profit alone. But create games that can help provide solutions to problems that exist in the society,” emphasized Eko. Eko also conveyed that game development is not always about digital games, despite the present digital era. There are other types of game based on its platform, such as board games, card games, PC, mobile, and console. He emphasized the importance of determining the goals of creating games so that the type of game can then be determined for the most effective platform that achieves the original purpose of a particular game. For example, he pointed out, to sensitize children to the phenomenon of global warming, a simple game can be created in the boardgame platform. “There is a board game for children that raises awareness about global warming, called Meltdown. By means of simple technology (board games), children can find out about global warming phenomenon,” said Eko. Eko attempts to colour gaming industry in Indonesia by encouraging this kind of serious games development. In his opinion, Indonesia is the best place to create games that can contribute to solving public problems because Indonesia has so many public problems. “Let’s create a solution to these problems that is the most interesting and fun,” he said. 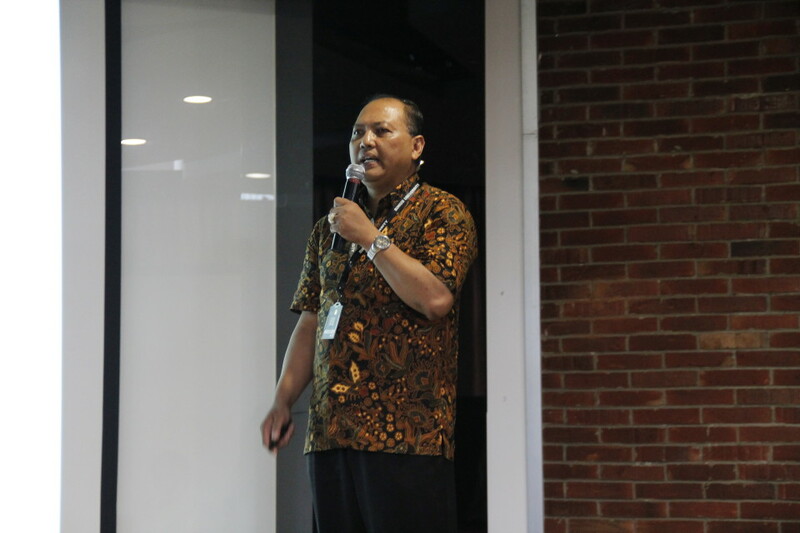 Dr. Wawan Rusiawan, Creative Economy Agency (BeKraf) Research Director, who also attended GameLab STAGE: 01 expressed support to this exciting event. He hopes that in the future further cooperations can be generated between BeKraf and GameLab. In addition, Ismail Fahmi, Indonesia One Search, Awesometrics founder and consultant to the National Library (Perpusnas); was also present, sharing information about Indonesian One Search’s activities that help National Library digitize various libraries’ documents in Indonesia and make them useful for the public needs of research results, journals, and other library documents. Game Lab STAGE itself is a monthly event held by Binus International’s GameLab. STAGE is an acronym of the Seminar, Talk, and Gathering Event, given that the event is aimed at discussing research results, diverse problems as well as ideas related to games and any other thing related.